Many in India look to the Ganges (Ganga) as a sacred river. 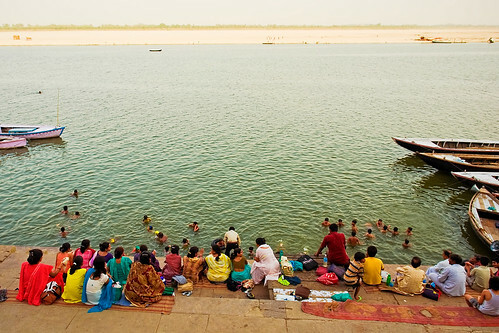 The river is mentioned in early Hindu texts, and bathing in the river holds much religious significance. Millions partake in this ritual each year. With such numbers bathing in the river, it is unbelievable that diseases such as dysentery and cholera are not wide-spread. However, the Ganges carries abnormally high amounts of bateriophages which eliminate most water-borne illnesses before they are spread. The fourth report in a six-part series on Weekend Edition – NPR is a must listen.